I'm adding another Christmas card to my very small stack of cards so far! This is for a few challenges. 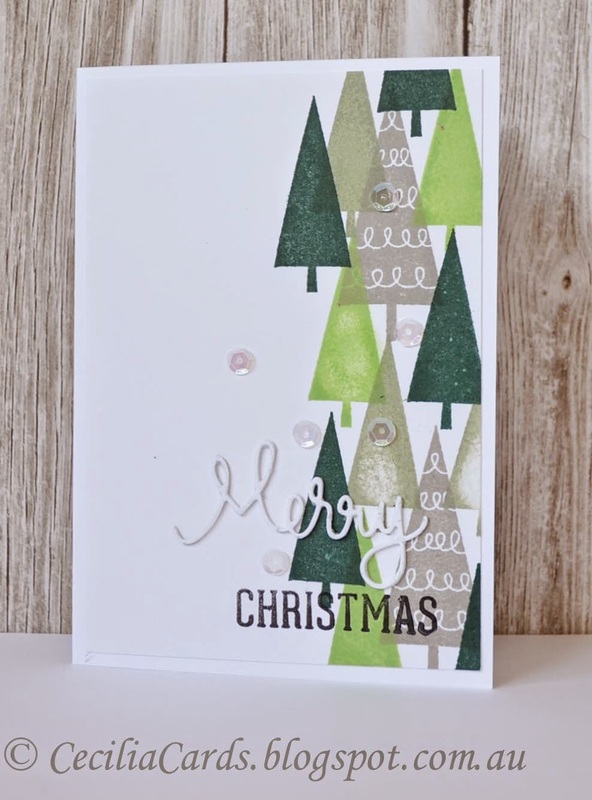 The design is based on the current Retro Sketch #141, the inspiration is from Muse Challenge #101 (Marion Vagg) , the concept is for the Moxie Fab World Challenge - Tree-mendous Trees and since I'm using a Simon Says Stamp die, I'm adding this to the Flickr Group Challenge#6. So nice to be able combine so many challenges into the one card! 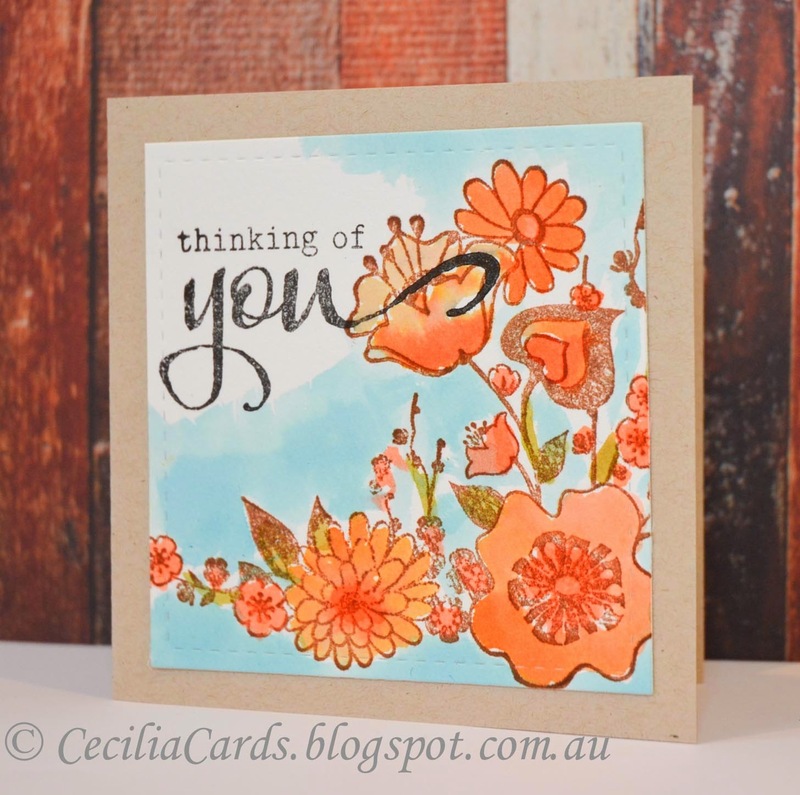 The stamp set is an old one from Hero Arts and the sentiment and die is from Simon Says Stamp. Thanks for dropping by! 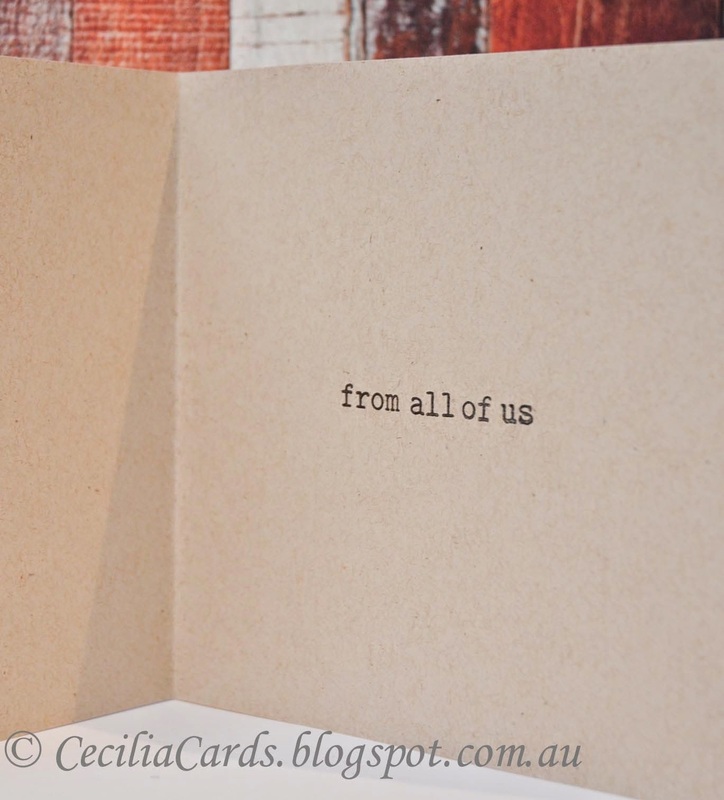 I have a couple of Sympathy cards to share. 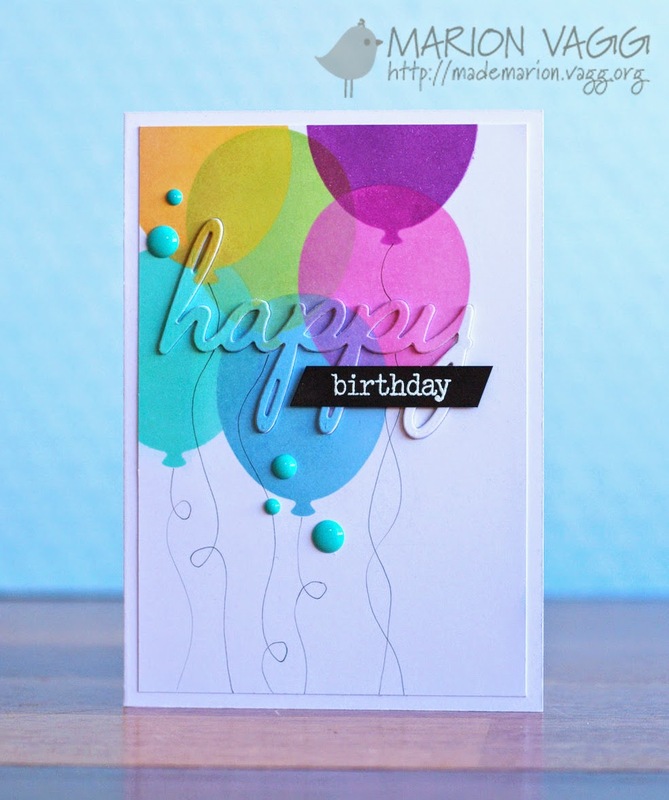 As I love the watercolour trend at the moment, I find this a very easy medium to make something quick and effective. The Zig Kuretake Gansai Tambi watercolour set is still on my wish list. Until then, I've been using the Distress Inks with lots of water to get the effect I'm after. I hope Santa is listening... it's the 36 colour set, the same one that Jennifer has! Wow! It's been over 2 weeks since my last post. What have I been doing! I got caught up with doing some cards for PCS magazine submission only to find out last week that they will be shutting down! It will be a shame as I have been quite lucky getting some cards published in the past. 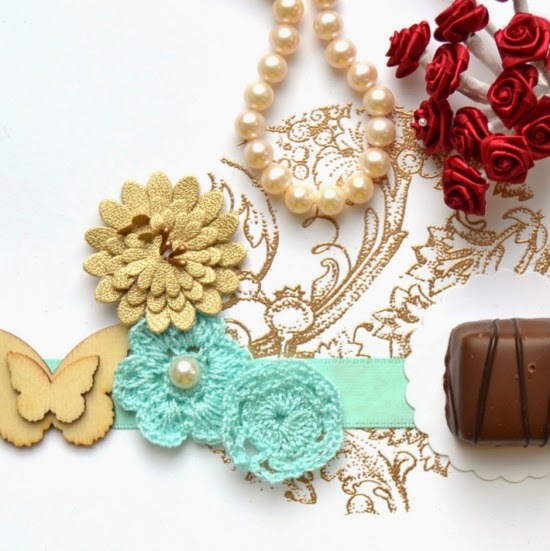 There will be a massive blog hop on 3rd December, watch out for it! 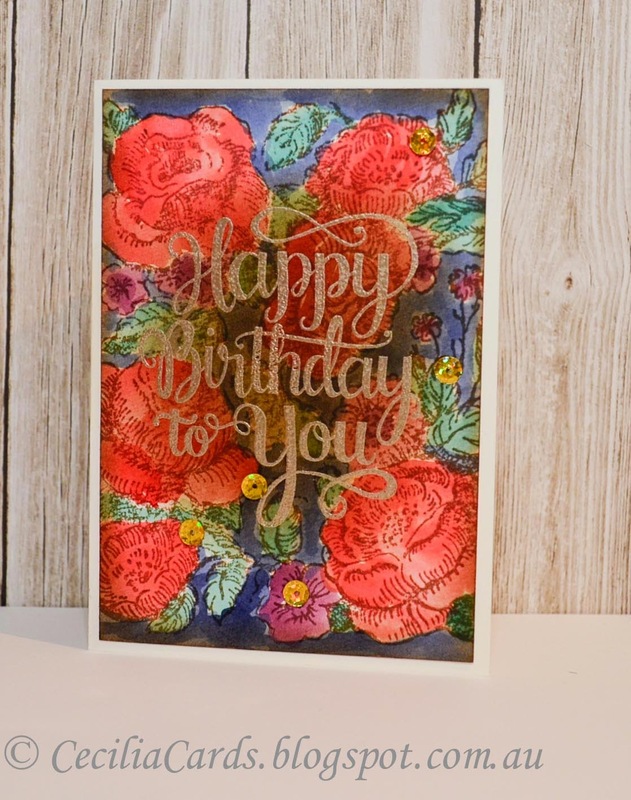 Here is a card I made recently for a friend's birthday using watercolour paper and gold embossing. I stamped the Penny Black image with Archival Coffee ink and then added Tim Holtz distress inks. 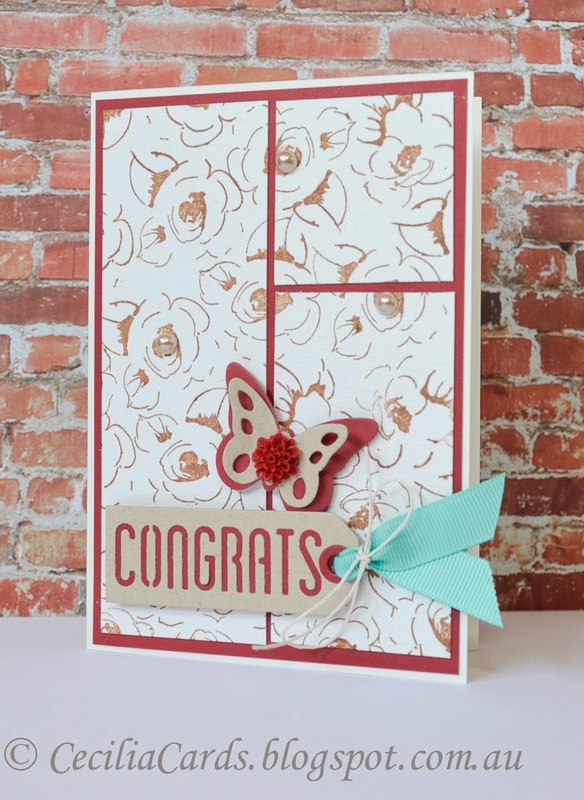 The Mama Elephant sentiment was embossed with Ranger Platimum EP (my new favourite colour) and some gold sequins addd to finish off the card. 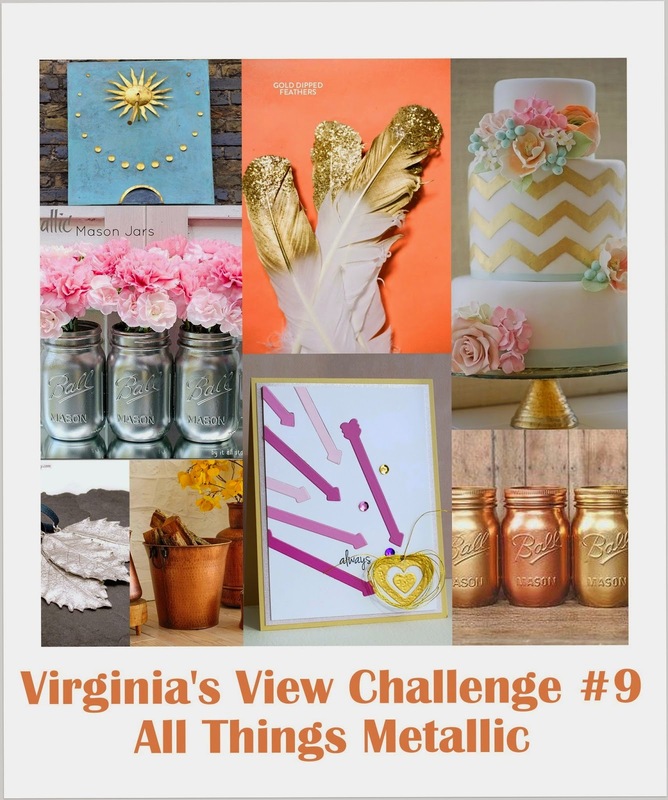 I'm adding this to Virginia View's Challenge #9 - All things metallic. Thanks for dropping by! Wow! Two posts in one day! 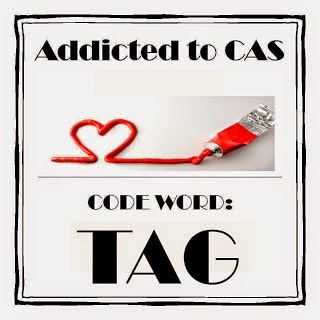 This is another quick and easy card for Make It Monday Partial Die Stamping and Addicted to CAS - Code Word Tag. Having some fun with a bit of free time today! I still haven't made my hat for Melbourne Cup yet!! 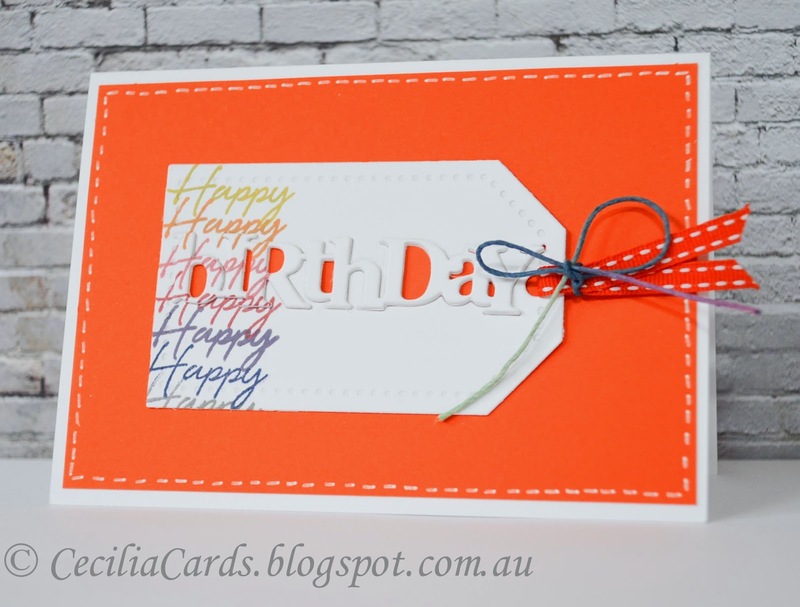 Please click on the photo to see the detail of the die cut - it has 3 thick layers of cardstock! A quick card for two challenges. 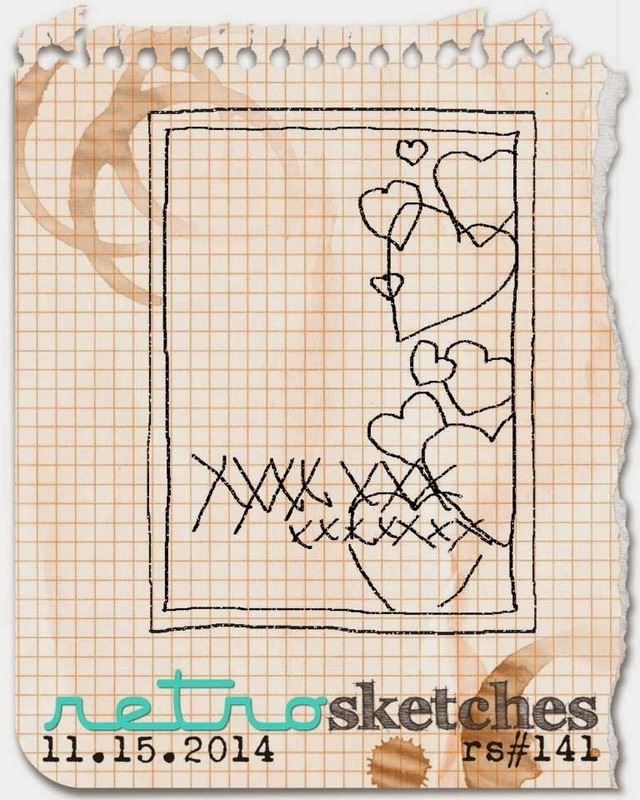 I don't know why I had to make a card in the last hour and submit when I have lots of other things to do today. But I loved it!! 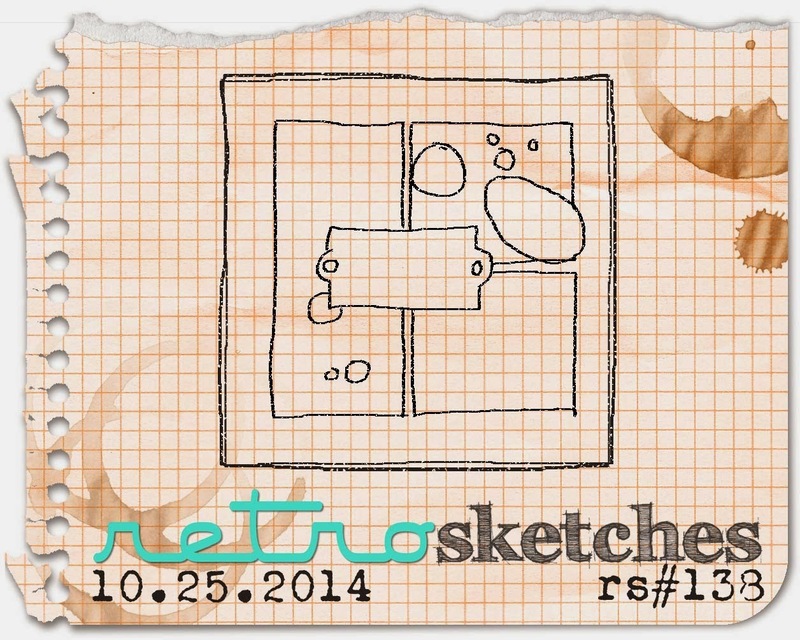 Here's my card made in under one hour for the AltNew October Challenge and Retro Sketch 138. Have a great weekend! I'm off to make a hat for the Melbourne Cup Spring Carnival!